ROANOKE, Va. (February 5, 2019) – Gentry Locke is pleased to announce that, for the second consecutive year, a medical malpractice case won by Partner Anthony “Tony” M. Russell has been included in Virginia Lawyers Weekly’s “Virginia’s Largest Verdicts” survey. The Roanoke Circuit Court’s unanimous $1.5 million dollar verdict decision in Alexander Nelson III v. Radiology Associates of Roanoke, P.C. tied for 13th on the 2018 list. Verdicts included on the Largest Verdicts survey represent the largest jury verdicts from across the Commonwealth. In order to be considered, verdicts must be for at least $1 million and must be decided by a jury, not a judge. In Alexander Nelson III v. Radiology Associates of Roanoke, P.C., Tony and associate Charles “Charlie” R. Calton represented the plaintiff in a medical negligence case based on a Radiology Associates of Roanoke radiologist’s failure to recognize the plaintiff’s appendicitis on a CT scan, which led to nearly fatal complications. The radiologist, who had only been practicing for two weeks at the time, incorrectly interpreted the plaintiff’s CT scan as not showing any abnormality. As appendicitis is diagnosed based on radiology, the plaintiff’s emergency department clinicians detrimentally relied upon the radiologist’s interpretation and discharged the plaintiff, not thinking that he had appendicitis. Two days later, the plaintiff returned to the emergency department with a much worse condition. Another CT scan was performed and correctly read by a different radiologist as showing appendicitis that had now ruptured. The two-day delay in the diagnosis of the plaintiff’s appendicitis led the plaintiff to suffer a ruptured appendix, causing intra-abdominal sepsis that led to ventilator-dependent respiratory failure, strokes, pulmonary emboli, deep vein thromboses, ischemic kidney insult, and permanent aphasia. The defendant and its insurance company refused to accept responsibility for the radiologist’s negligence and the permanent, severe harm caused to the plaintiff. As a result, Tony and Charlie were forced to take the plaintiff’s case to trial, where a jury of seven individuals from the community reached a unanimous conclusion that the defendant was responsible for the plaintiff’s past, present, and future injuries, harms, and damages. The Roanoke Circuit Court approved the jury’s verdict and entered judgment for the plaintiff against the defendant in the amount of $1.5 million plus interest from the date of the jury verdict. In 2017, Tony received a medical malpractice/wrongful death verdict that ranked first on Virginia Lawyers Weekly’s Largest Verdicts survey. In Estate of Karen Ebersole v. Dr. Pergolizzi, et al., the jury awarded a unanimous verdict of more than $7 million for Tony’s clients. With more than 55 lawyers practicing across a range of disciplines, Gentry Locke brings uncommon thinking and deep experience to the legal and business challenges of companies, institutions, organizations and individuals—a commitment the firm has met since 1923. Operating from offices in Roanoke, Lynchburg, and Richmond, Va., Gentry Locke serves clients in Virginia and across the U.S., as well as worldwide as a member firm of the ALFA International Legal Network. Meet the firm’s dynamic attorneys and learn more about its fierce drive to achieve success for its clients by exploring this website. Tony Russell is a Partner in the firm and is consistently noted as a Virginia Super Lawyer in Personal Injury and Medical Malpractice Litigation for plaintiffs. He also is recognized among the Best Lawyers in America in several categories for plaintiffs, including Mass Tort Litigation / Class Actions, Medical Malpractice Law, Personal Injury and Product Liability Litigation. 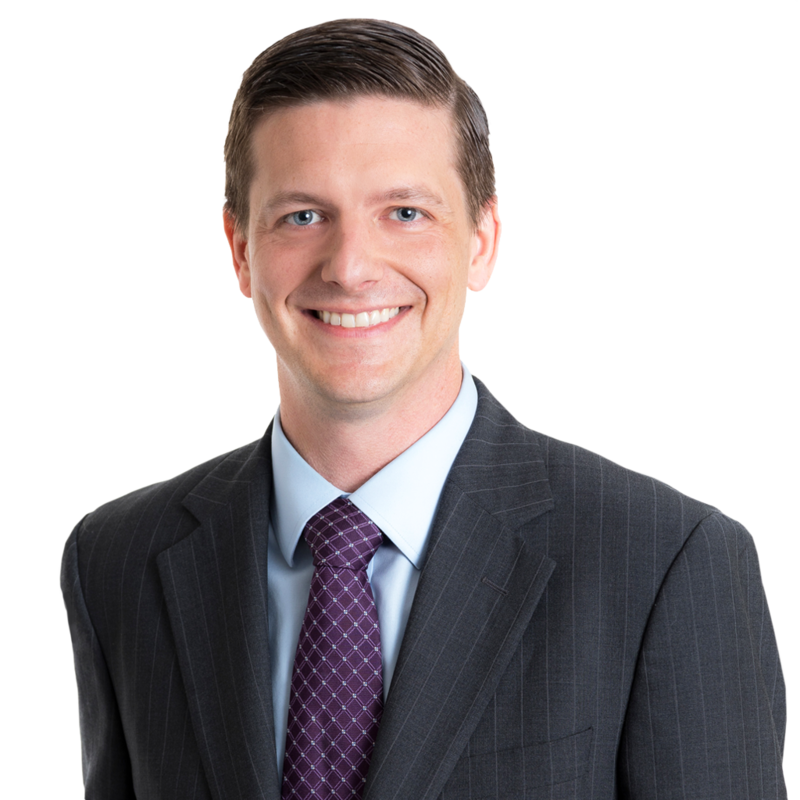 Charlie Calton is a trial lawyer in Gentry Locke’s Plaintiff’s group who represents people in medical malpractice, wrongful death, and personal injury cases across Virginia. Prior to joining Gentry Locke, Charlie worked at the Virginia Office of the Attorney General, the Virginia Department of Health Professions, and represented individuals seeking disability benefits at Social Security administrative hearings. A graduate of The University of Richmond School of Law, Charlie grew up in Lee County, Virginia and is excited to be practicing closer to home.